This review first appeared in the December 5, 1984 issue of The Daily Aztec. When Ritchie Blackmore and Roger Glover put Rainbow on hold last spring, rumors of a Deep Purple reunion began circulating. With Ian Gillan's departure from Black Sabbath and Jon Lord's equally mysterious absence during Whitesnake's recent tour, the rumors only intensified. This past month, the rumors proved to be true with the release of "Perfect Strangers," an effort containing all-new material by the same lineup that produced one of the greatest hard rock albums of all time, "Machine Head." The evidence on the new release shows that, unlike many veteran rock groups that have attempted comebacks after extended separations (Simon and Garfunkle, Animals), Deep Purple is again a living, growing entity, not merely an oldies act making a buck off past glories. For instance, "Knocking at Your Back Door" is one of the best Deep Purple songs ever, comparable to the immortal "Smoke on the Water." It begins in typical Deep Purple fashion: a gothic organ introduction by Lord, with drummer Ian Paice and bassist Glover joining him with a commanding cadence. Gillan's voice sounds in top form, and Blackmore's guitar remains outrageously strong yet intricately controlled. The song also features a melody in the chorus that will be running laps around your head for days. 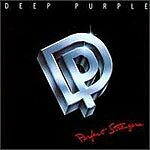 While the title track is somewhat unimpressive and an odd choice for the first single and video from this album, overall this is a most impressive outing for Deep Purple. Hopefully, it's is a sign of commitment to the future.